Access Control is an extremely important system within your business, you can have the confidence that H3C Plus will provide the most appropriate system for your building. Locks and keys allow you to secure your building, but when keys are lost or stolen, the inconvenience and expense of changing locks and re-issuing keys can be considerable. Keys may also be copied, creating a larger security risks. In its simplest form, an Access Control System consists of an electronic door lock, a Card reader/Keypad or Biometric and an electronic controller with a management system (Head End). 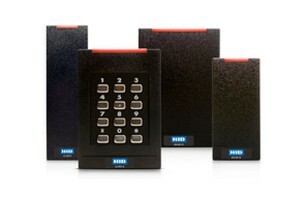 Electronic access control provides the most efficient and convenient way of securing your building and assets. Cards are issued to allow access through the controlled doors, and are easily deleted/voided from the system if they are lost, stolen or just not returned by someone who leaves your company. An Electronic Access control system delivers a secure, convenient, flexible and cost effective way of controlling who has access to your building and when that access is allowed. Access control gives organisations the security they need.